Feast your eyes on all the lovely YMP Merch (as my children tell me it’s called these days) but don’t just look – why not ‘fill your boots’ with some of these fabulous items? 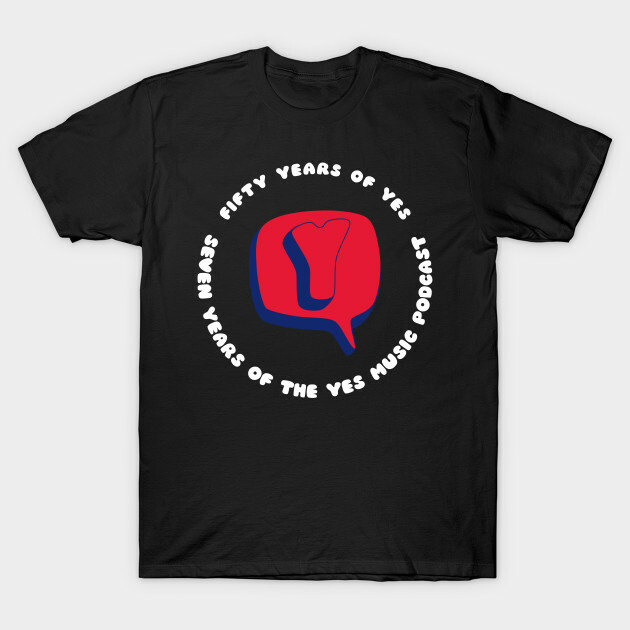 This is the special, ‘Limited Edition’ T Shirt to celebrate 50 years of Yes and 7 years of the podcast. This one is only available for a short time and then other designs will be available on a more long-term basis. Rather nifty YMP T shirts are finally available! Head over to the Tee Public store now! How about lanyards, Kevin? Would love a YMP lanyard. I would wear it proudly! Once upon a time there was talk of a luggage tag. . . and I’m sure we’d all like to see T-shirts again. If you can wrangle the legalities thereof. Tee shirts shouldn’t be a problem as Kevin has the OK for the new logo (at least assuming the OK is not limited to use on the website/pod feed). My old tee is seriously faded and has shrunk (OK i might have put on a bit of weight). Yes I agree, Tim and T shirts are being worked on as we speak. I have a prototype but it’s not quite right yet…stay tuned! 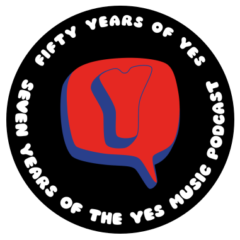 Yes music podcast at the bottom. Ordered the t-shirt and the coaster – Yes , I am a fan!